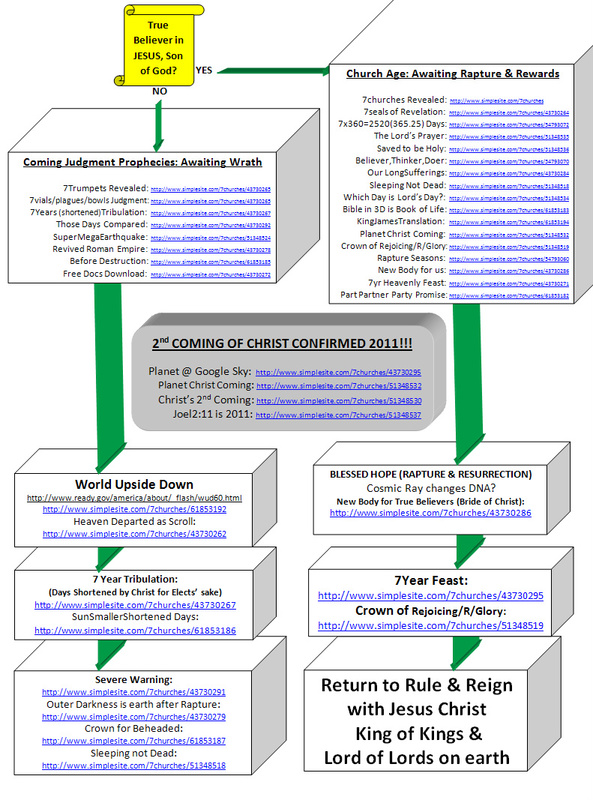 2nd COMING OF CHRIST CONFIRMED 2008-2015!!! and ye shall return every man unto his family." I was being led to compile the below files. 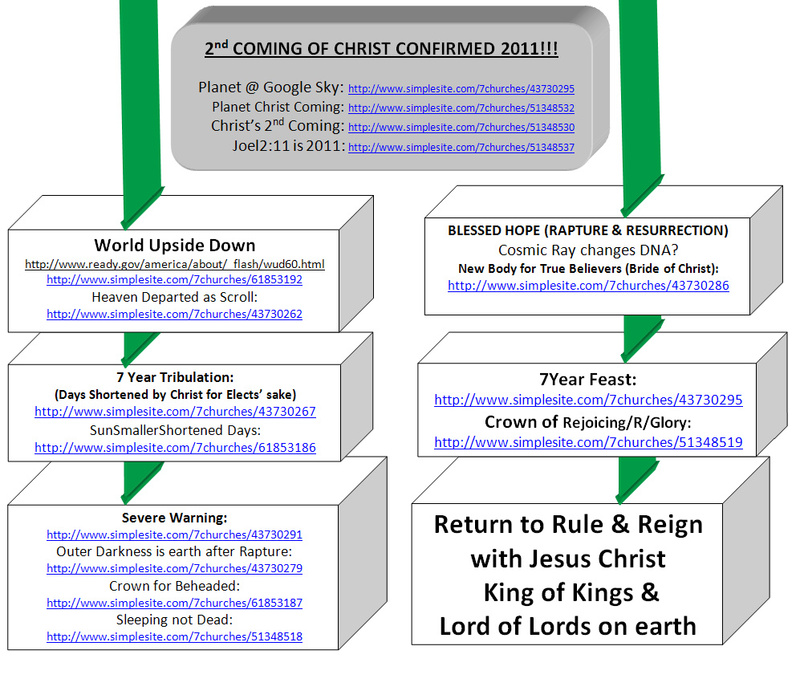 During this Christ 2nd coming See_A_Son, we need to look UP! For our redemption draws near! Luke:21:28: "And when these things begin to come to pass, then look up, and lift up your heads; for your redemption draweth nigh." Christ is coming to take us to our own mansions He prepared for us in New Jerusalem for 7-Day-Feast. Matthew:24:22: "And except those days should be shortened, there should no flesh be saved: but for the elect's sake those days shall be shortened." Mark:13:20: "And except that the Lord had shortened those days, no flesh should be saved: but for the elect's sake, whom he hath chosen, he hath shortened the days." John:16:33: "These things I have spoken unto you, that in me ye might have peace. In the world ye shall have tribulation: but be of good cheer; I have overcome the world." 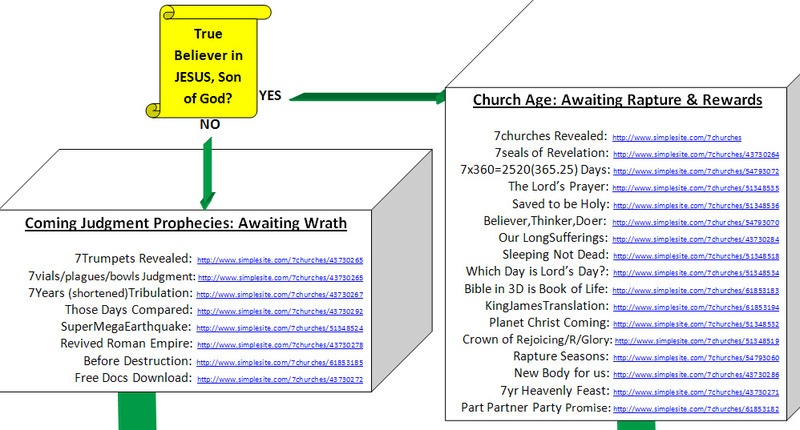 Pls Believe In Jesus' Perfect Salvation for You and Me. Once you believe you are born again of God. Your faith in Jesus will overcome the world. 1John:5:4,5: "For whatsoever is born of God overcometh the world: and this is the victory that overcometh the world, even our faith. Who is he that overcometh the world, but he that believeth that Jesus is the Son of God? To God be the Glory, Honour & Power Forever.